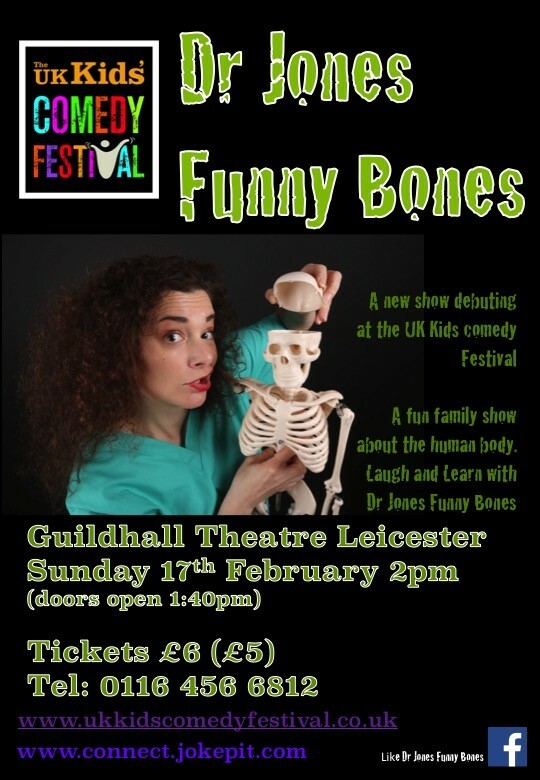 Dr Jones Funny Bones is coming to Leicester for the first time! Come along and learn fascinating facts about the body with Dr Jones, a real life doctor and comedian. Join in with songs, competitions, stories and of course jokes! Ideal for children age 3 to 11 but there is something for everyone (especially grandparents!). A great way to entertain and educate the kids on a winter's afternoon. All children must be accompanied by a paying adult.